I’ve blogged before on the Food for Thought blog: (https://notjustdormice.wordpress.com/2015/01/09/evidence-for-roman-eating-and-drinking-from-the-mola-database/ ) about my ongoing PhD research into “Big Data” and evidence for Roman food recovered during developer-funded archaeological work in England, as part of the EngLaId Project, and I thought I’d post a quick update now, as I’ve recently come into possession of an amazing new data-set courtesy of Museum of London Archaeology (Mola) and the excellent archaeologists who work there, including particularly Karen Stewart. 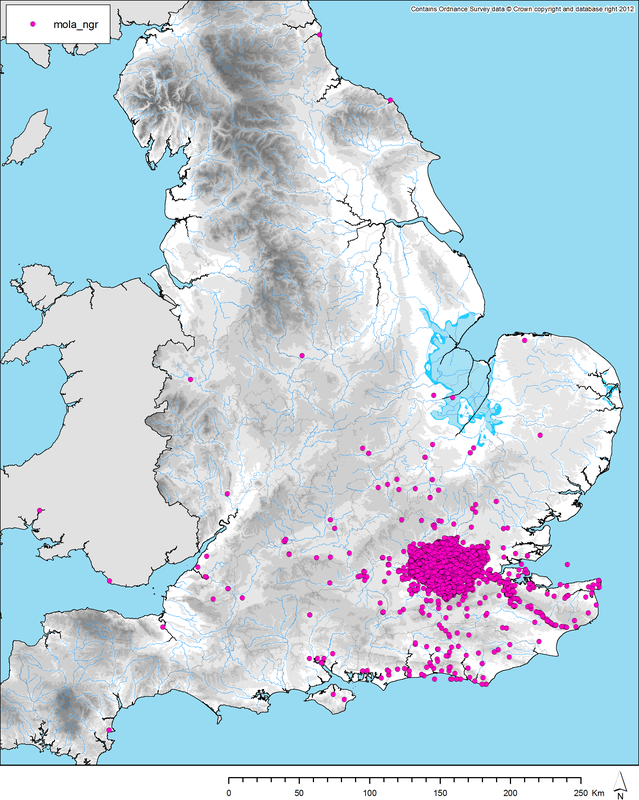 The data that I’ve extracted from the Mola database relates to the period between 1500BC and AD1086 (the period covered by the EngLaId project) which covers the long period between the first wide spread permanent settlement and the origins of the modern settlement pattern. These data falls into four main categories: context data, ceramics, animal bones and charred plant remains and the idea is to plot changes in these data, both chronologically and spatially using GIS and to see (among other things) whether data analysed on this scale changes our understanding of Roman food consumption and particularly what was carried over from the Iron Age and what continued into the early medieval period. I haven’t yet crunched the numbers in a sufficiently detailed way to report on my analysis – but when I have I’ll be posting another blog to let everybody know how it went. Hopefully, the results will be interesting!